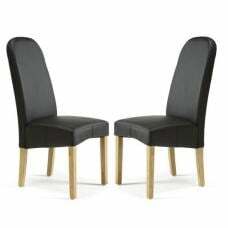 The Fiesta range is a collection of contemporary living room and dining room furniture. 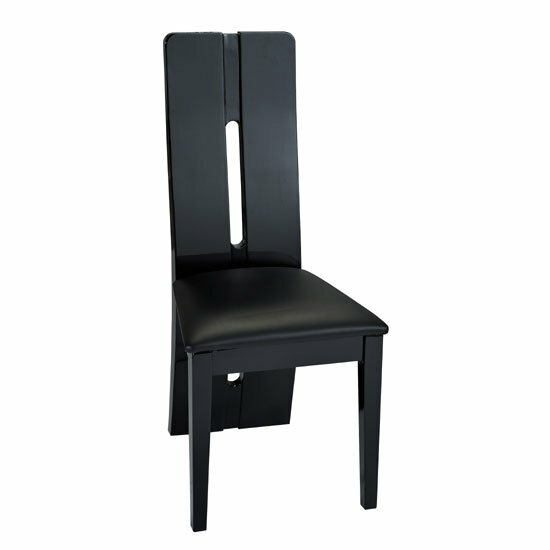 The range has been finished entirely in high gloss Black for a look that is clean, crisp and right on trend. 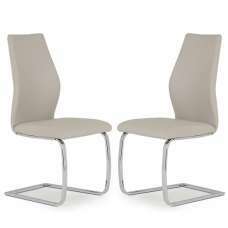 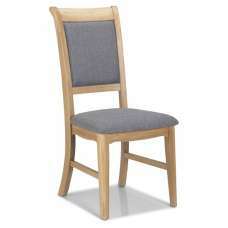 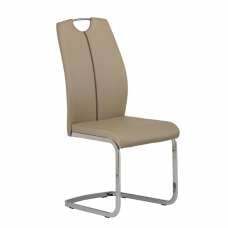 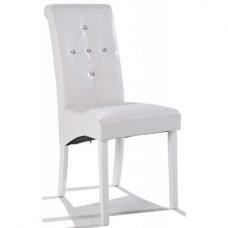 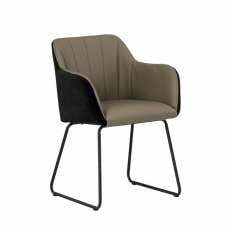 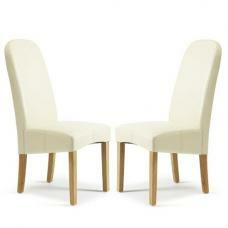 The Fiesta dining chair has been finished with a large curved back that has grooved detailing. 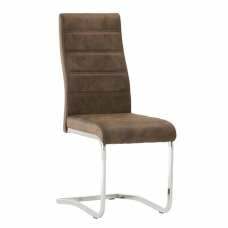 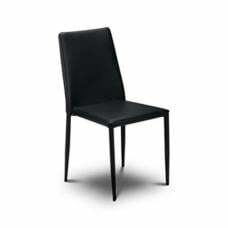 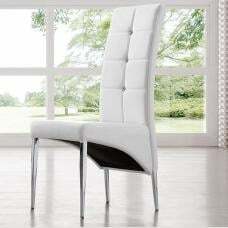 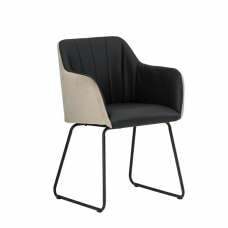 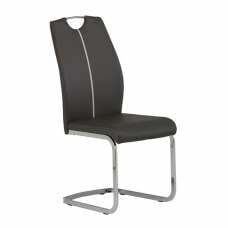 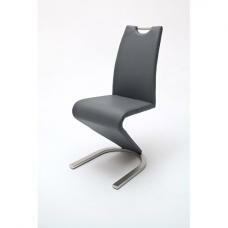 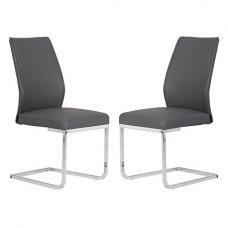 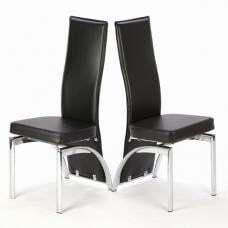 The dining chair also has a Black cushioned and upholstered seat for optimum comfort and style. 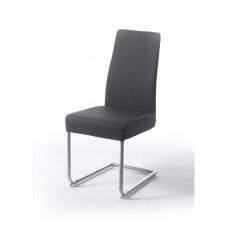 Black cushioned and upholstered seat for optimum comfort and style.